Welcome to 757 South Orange Grove in Pasadena! ... Information is deemed to be reliable, but cannot be guaranteed. 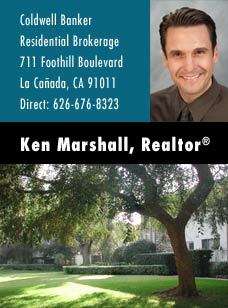 ©20052006 Ken Marshall, Realtor®. All rights reserved. Coldwell Banker is a registered trademark licensed to Coldwell Banker Real Estate Corporation. An Equal Opportunity Company. Equal Housing Opportunity. Owned and Operated by NRT Incorporated.